Healthcare is changing rapidly, and many of the innovators pushing the boundaries of how patients access care and what kinds of care they receive are making breakthroughs right here in our community. With medical costs trending 6 to 7 percent higher each year, business owners are looking for new ways to contain costs while improving the health and productivity of their employees. Many of yesterday’s discoveries are driving value today — from telemedicine to networks built upon value-based care. Similarly, many of the innovations discussed in these pages will become standard practice in the years ahead, improving health outcomes while, in some cases, driving down the cost of care. 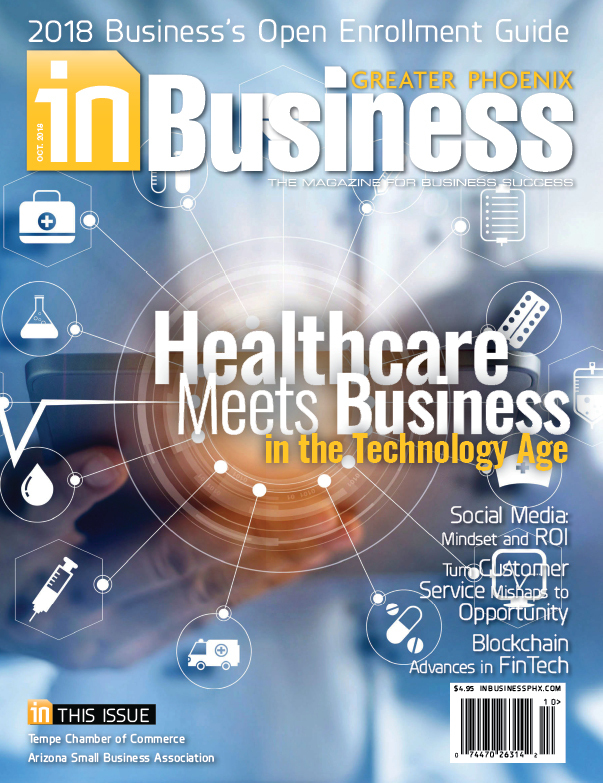 This issue’s cover story explores innovations in healthcare, from breakthroughs in how care is provided to expanded definitions of wellness, as many in the industry share their expertise and insights with In Business Magazine editor RaeAnne Marsh. As healthcare evolves, so must the laws that govern it. New laws are being promulgated that try to keep up with some of the changing dynamics around healthcare. April’s Healthcare page presents an article that discusses the impact of a proposed medical marijuana law that has been working its way through the Arizona State Legislature. The Legal feature also touches on workers compensation, with the goal of helping employers avoid having those claims turn into bad-faith lawsuits. 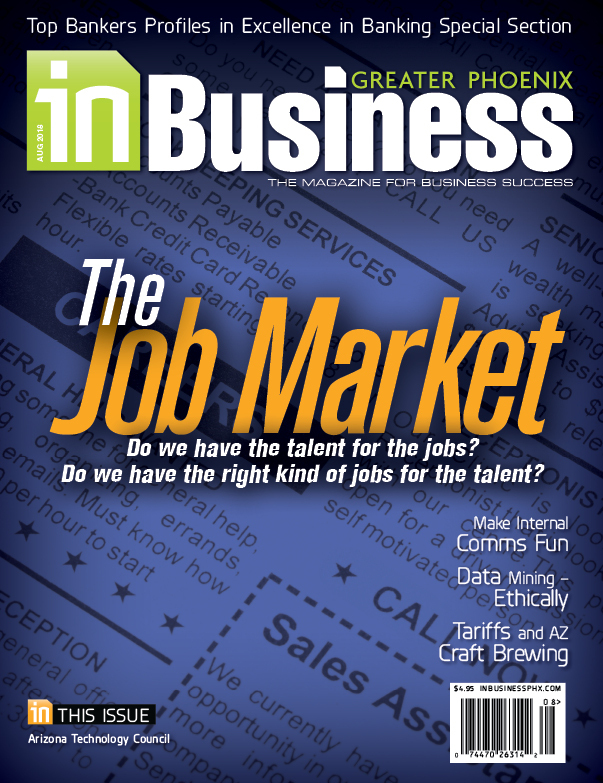 Smart home technology is the focus of this issue’s Technology page. And a longer feature looks at how technology is impacting HR practices, examining the role of chat bots in many HR functions. And finally, the Healthcare Services Guide for Business is a comprehensive guide for executives, human resources professionals and others who are interested in offering more in the way of benefits, healthcare and wellness programs. 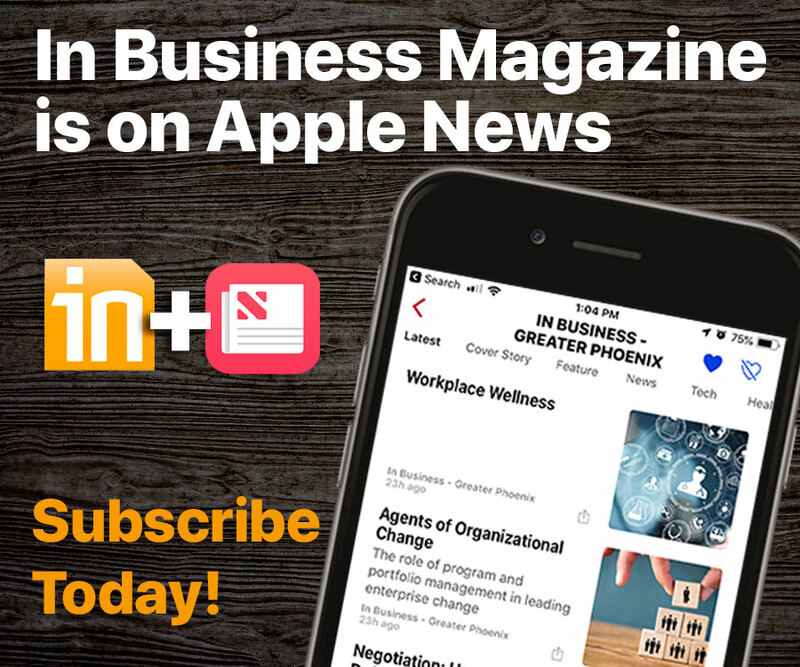 With articles on a variety of topics that impact business, from what’s happening in the local startup community to options for lunching with or without a client, In Business Magazine strives to help strengthen business in Greater Phoenix. I am pleased to help present this issue, and hope you will enjoy the information in the following pages. As president and chief executive officer at Blue Cross Blue Shield of Arizona (BCBSAZ), Pam Kehaly is responsible for the strategic direction and financial health of the 1,500-employee company. She is committed to supporting BCBSAZ’s mission by helping residents across the state achieve optimal health. With more than 30 years in the health insurance industry, Kehaly has developed an expertise in collaborating with doctors and hospitals to align financial incentives for better outcomes. Prior to joining BCBSAZ, she served as president of Anthem Inc.’s West Region and Specialty business.